Well, hello there everyone, it’s me, Amira! Today we are so thrilled to be a part of Riley Blake’s Love Story blog tour! 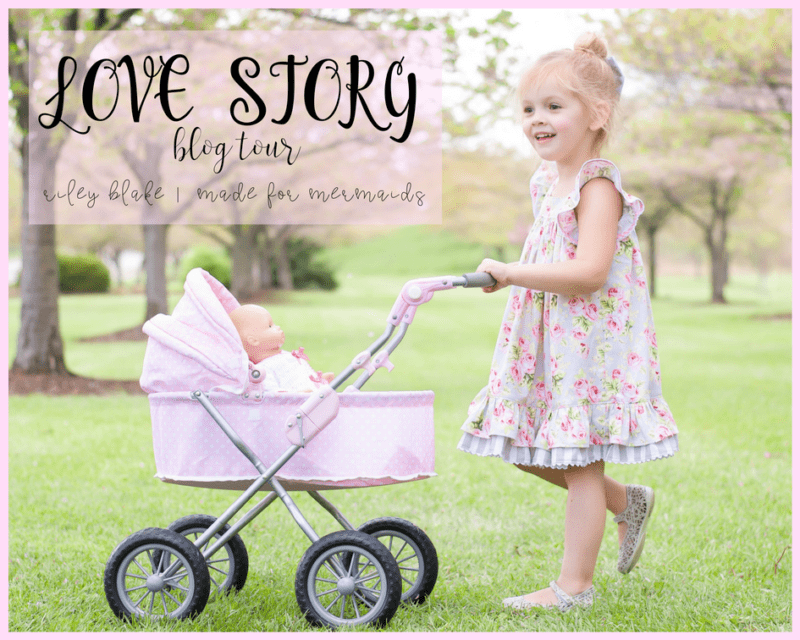 The Love Story collection is amazing, and it is filled to the brim with beautiful florals, fun stripes, lovely words, and even cute swans! I was completely swooning as I selected fabrics for my project. I ended up choosing the Love Story Main Gray because I adore those beautiful pink roses atop of the grey background and this print has a timeless, vintage feel to it, just as the Holly pattern does… a perfect match! I wanted to add a bit of whimsy to the Holly dress, so I also selected Love Story Stripes Gray to add as an accent ruffle. 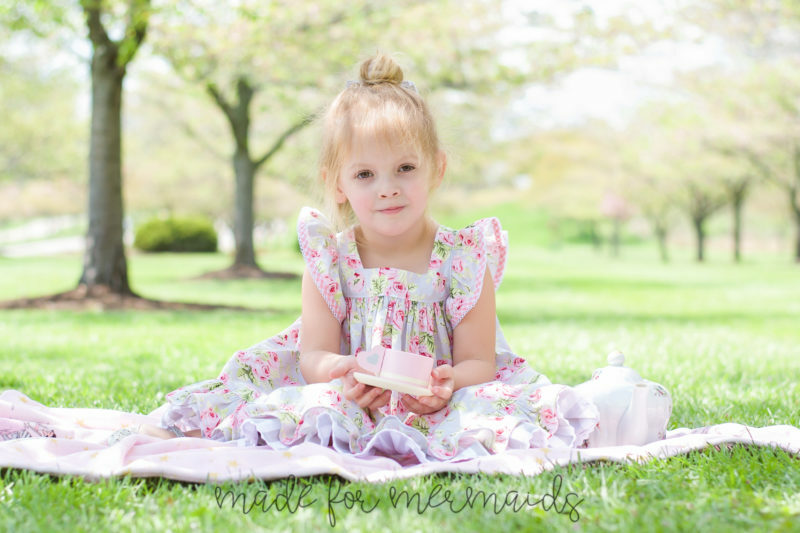 These prints are just darling for little girls! 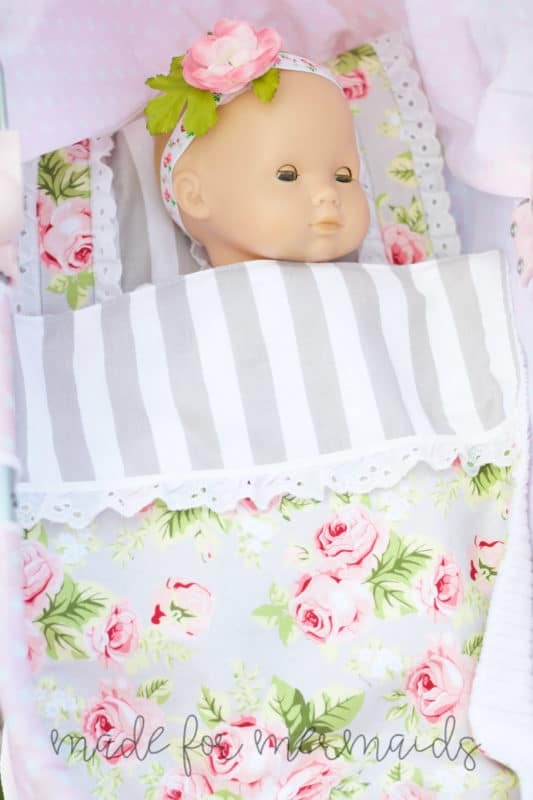 There is something just so whimscal about pretty florals and playful stripes. 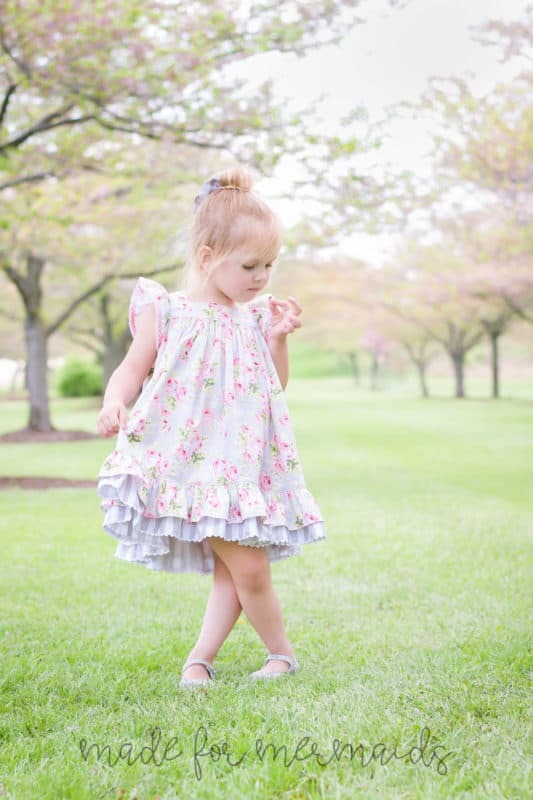 I knew my little girl would love her pretty dress, but I wanted to give her something special that she could play with too. I thought about what she plays with the most (her babies!) 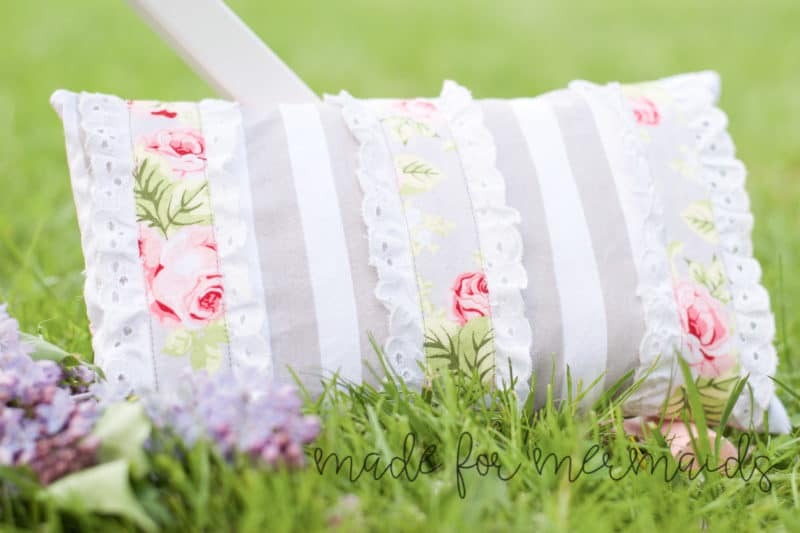 and decided to make her a Dolly Bedding set! I had some quilting fun, and added a bit of trim to the dolly pillow! I love the way the floral just pops off of the stripes here, don’t you? And what outfit would be complete with out a bow? 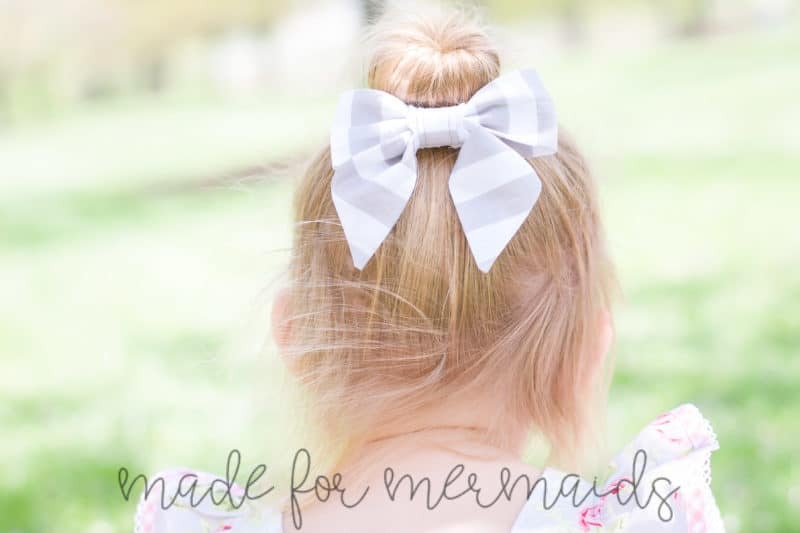 We have the Free Sydney Salior bow that literally takes no time at all, and adds the perfect finishing touch to every outfit! Speaking of which, I chose to make our bow from the Gray Stripes, as I thought it tied everything together beautifully! I had so much fun being apart of this blog tour… it truly was a love story! 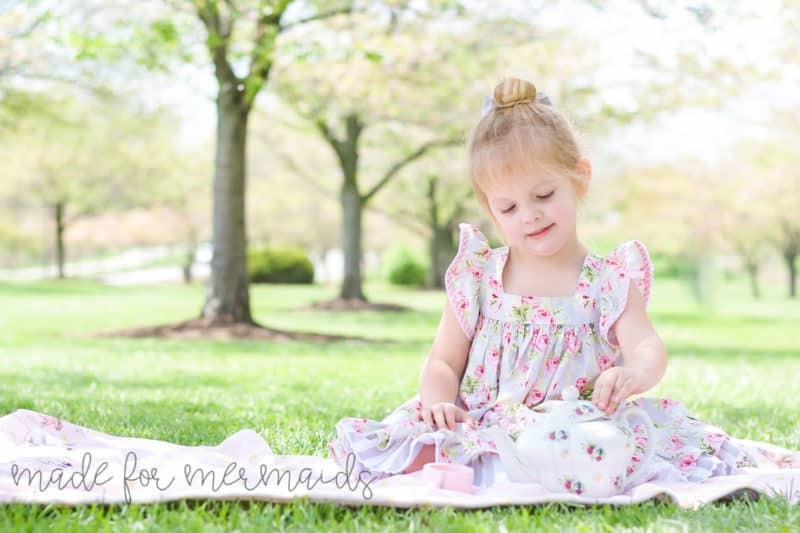 A story of how a mama loves to create amazing things for her sweet little one! Thank you so much for reading, and make sure to share your creations with us in our Facebook group!